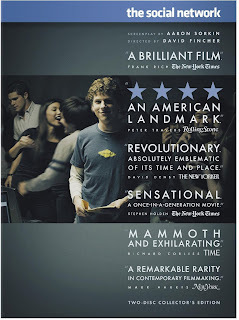 I saw David Fincher’s The Social Network on opening weekend and was immediately enthralled by it. The witty, lightning-quick dialogue, haunting soundtrack, brilliant performances, and refreshing cinematography all captivated me and made the relatively low-budget film my absolute favorite flick of 2010. 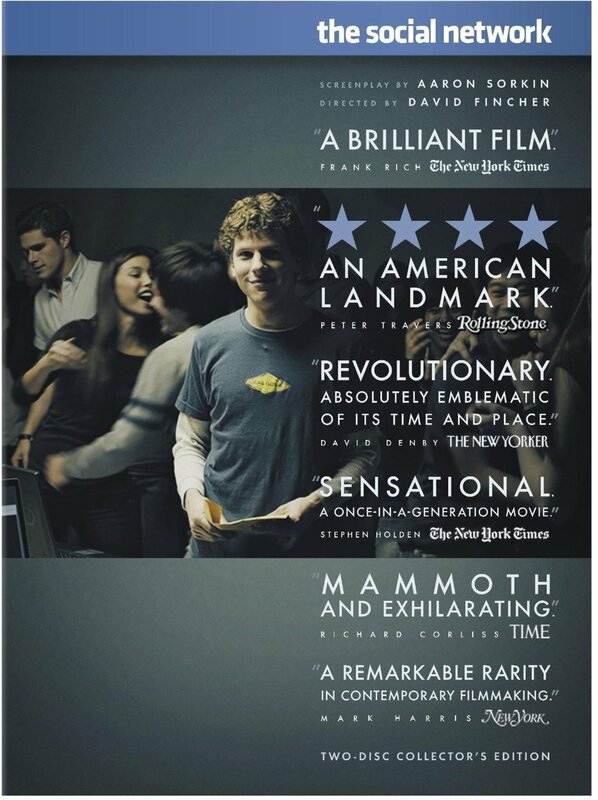 The fast-tracked DVD and Blu-ray hit shelves today following a theatrical re-release to more than 600 locations domestically—all coinciding with the mounting awards buzz surrounding the film.¹ Do you think The Social Network will pick up any major awards? And while a solid script, score, and talent easily explain why the film has grossed over $200 million worldwide (thus quadrupling its budget), there’s also the fascination with Facebook and the fact that the movie essentially represents “an entire generation of young adults reaching for its piece of the American Dream” that contributes to the movie’s popularity.² Did you see the movie? Was it your movie of the year? Clearly, Facebook is huge; it represents an era of fundamentally changed human relationships and communication. And libraries have noticed. According to the 2010 State of America’s Libraries, 11% of the country’s largest libraries (populations greater than 499,000) had a presence on Facebook in 2009, and that statistic is expected to be significantly greater among libraries of all sizes in ALA’s next report. Simply scanning my RSS reader unveils numerous library blogs discussing Facebook. Stephen’s Lighthouse is always relating interesting stats and infographics on the social networking site to public libraries, and the Other Librarian posted an interesting entry on Facebook and library rapport. With Facebook’s ever-increasing popularity and the Social Network film expected to perform well this awards season, it’ll be interesting to see how the site will evolve in 2011 and how libraries will put it to use for them. Does your library have a Facebook? Why or why not? In what ways does your library or will your library use it to reach patrons? How could Facebook be improved for library use?